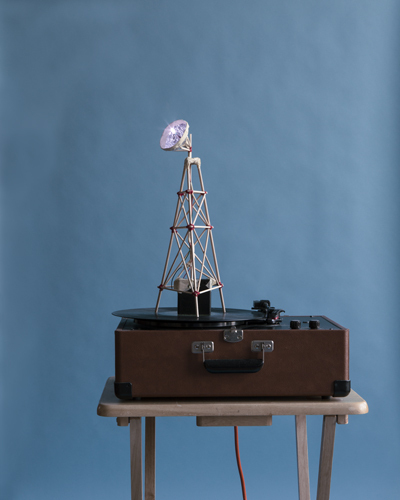 A Love Song Played at a Very Specific Frequency is a 24″ x 30″ inkjet print in an edition of 5. A Love Song Played at a Very Specific Frequency is a 24″ x 30″ inkjet print in an edition of 5. It is based on an imagined machine that transmits sounds at a frequency that only one person can hear.